Yes you heard it right! An LMS from Adobe. We have been working on building a Learning Management System (LMS) for sometime now. And I am happy to let you know that it is shaping up nicely and is getting ready to be launched soon. This is a long post, but so has been our journey building it. As per some industry reports, there are more than 600 LMSs out there, so the obvious question you might have is why Adobe is trying to build another LMS. Let me try and address this in this post and some of the thoughts behind the LMS design. With market leading offerings such as Adobe Captivate (eLearning authoring), Adobe Presenter (quick video capture) and Adobe Connect (virtual classroom), we have been serving the corporate learning and training departments for more than 15 years now. Even, other asset creation tools such as Photoshop, Audition, Illustrator, and Acrobat continue to be very popular amongst eLearning designers and developers. Given our close association with learning and IT professionals, we were getting a lot of requests to provide an easy-to-use solution for hosting, delivering and tracking learning content. And we obliged. Organizations have started to focus on learning once again. There are multiple factors that are changing the face of learning today. Cloud is no longer cloudy – Gone are the days when organizations had some reservations about Software-as-a-Service (SaaS). If you look around, almost every other software is being offered on cloud. SaaS is now mainstream. Learners are demanding full mobility – Learners are consuming more content on mobile devices than on their office computers. They are demanding learning content to be delivered wherever they are and whenever they want. Our surveys have shown that more than 30% organizations are already building mobile learning content and other 50% are going to do so within the next twelve This was made possible largely due to the progress we made in responsive eLearning design with Adobe Captivate. The challenge now is to deliver the content on a variety of mobile devices in a way that the learner experience is not broken, how to ensure that learning continues even if the network connectivity is lost. Big data and analytics have started making an impact in learning – As a learning professional, you should brace yourself for this tsunami. This happened to marketers few years ago, and now it is your turn. You should be able to track learner behavior, evaluate training effectiveness, measure what is working and what is not, and use data to see how the organization is progressing on developing new skills. Gamification is making learning fun and engaging – We are now starting to see gamification finally happen. Organizations are successfully using it at group levels and some have implemented individual competitions. Functions such as sales are ready for gamification already. Videos are everywhere – With continuously reducing storage cost and ever expanding bandwidth, videos have become the primary eLearning format in most of the organizations. The challenge is where to host these large video files, how to deliver it without choking the bandwidth, and how to ensure that learners are able to consume it even when they are offline. We want to control our destiny – While learning & development department (L&D) owns the budgets and is responsible for organizational learning, they have little control over the learning process. They heavily depend on IT to roll out learning programs. Since we were building the LMS from scratch, we could challenge, twist and streamline every single learning workflow from enrolling learners to creating dashboards, resulting in an LMS, which is meant for learning and not for IT, thereby handing over the control back to you. Help us solve the learner engagement problem– Technology so far has focused on content delivery and workflows leaving the most important stakeholder in the process, the learners, confused and disengaged. 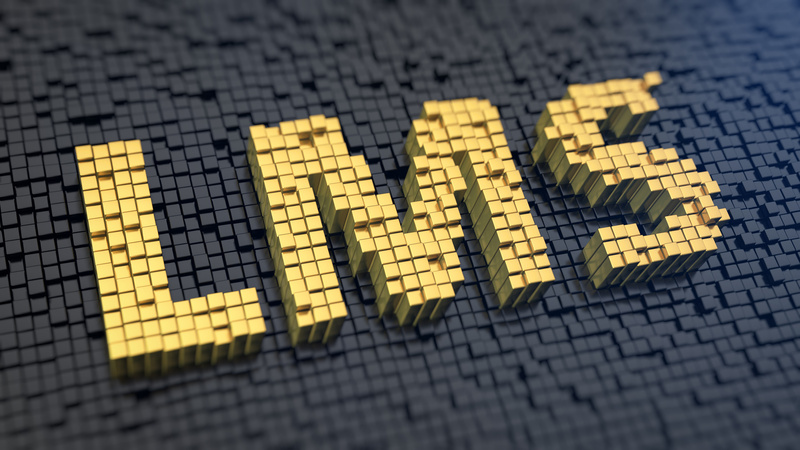 While the content quality has been improving, the LMSs weren’t keeping pace with it. The current learning experience is disconnected across different devices and also across different content types such as SWF, HTML5, PPT, DOC, PDF etc. We at Adobe took up this challenge very seriously and have taken a Learner-first approach to designing the LMS. If your learners are happy, we know you will be happy too. Deliver a seamless integration between the content and LMS– From our experience with authoring tools, we know how big a problem this is. We’ve found that in most cases the content is not the issue, it is often the LMS, which had difficulty decoding the SCORM Our product engineering team have worked extremely hard to ensure that customers using Adobe LMS will not face any integration challenges. In fact, we will not only support interactive content created using Adobe Captivate or Presenter, but also any other SCORM or AICC compliant courses, PPT/X, DOC/X, PDF, MP4, or any other popular video format. How do I know whether the training is making an impact– This is the holy grail of learning and needs no explanation. We are trying to address this in four ways – first, integrate a feedback model which not only includes learner feedback but also manager’s. Second, figure out a way to arrive at course effectiveness rating which helps learners select most popular courses, and also provide the feedback to course authors to continuously improve course quality. Third, track the skill readiness level of organization against the set target and intervene appropriately. Finally, have a robust tracking & reporting system within the LMS. There are many other nuances that we’ve taken into consideration while designing the solution. For e.g. integrated video streaming service, Learning content management systems (LCMS) functionalities, and so on. All ensuring that customers do not have to look around for multiple solutions and deal with integration challenges. Adobe has been listening. Listening to what the industry trends are, sometimes driving them as well. Listening to what our customers are asking, sometimes hearing even when they are silent. The final result is a modern cloud-based LMS from Adobe and it is just the beginning. We are getting closer to the official launch day and in case you wish to be be notified immediately upon its availability, provide your email address here. Go and take charge of your learning environment, now! What is Adobe Captivate Prime? That’s what we are using. Seems like a cloud based LMS to me. This is, by far, the worst product Adobe has ever published. It simply will not do what Adobe claims it will do. Is there any discussion or interest in entering the State and Local govt. arenas? For as much as we want it it to be like the private sector… it just isn’t, and therefore we come with our own set of challenges that very few, if any, have been able to meet the needs of. It would be refreshing to see an LMS that could in fact handle the 1.2 bazillion functions we are tasked to try and perform. Will it support LTI ? We would be happy to review your software once it is ready. Please reach out when you are ready! As a course designer and producer I’m encouraged by the pending Adobe LMS. I like Captivate a lot but am being tempted to shift away to lesser tools simply because of the LMS integration issue particularly when it comes to mobile learning. Price will be a factor. While I’m prepared to pay a little more for something that works, the reality is there are cloud based LMS’s out there with pricing models (I think) Adobe will find hard to compete with. Inclusion in Creative Cloud would close the sale, but this would seem at odds with the Adobe strategy of shutting Captivate out of Creative Cloud. Getting companies to uproot from existing LMS’s and shift over to Adobe LMS will take something extraordinary. Bring it on Adobe! How is it related to Adobe Connect Learning? Isn’t that somekind of LMS? I wonder if the LMS will become part of the Creative Cloud offering…..and I still wonder why Captivate is not part of Creative Cloud (Adobe never answers this question when I ask). But, look forward to details and to echo comments by others, please consider small independent companies who deliver training. Adobe pricing can have the effect of freezing out small independent companies or self-employed one man band type companies. I agree 100%! It’s why I’m constantly on the lookout for a replacement. So far, nobody’s got the Responsive going…but as soon as they do, I’m gone. If it were part of the Cloud, I’d never leave. But paying AGAIN for it—it’s just wrong. I’m a one-woman online reading teacher. Me and me alone. Put Captivate into the Cloud package, Adobe. You’re really ripping us off. People don’t forget. I won’t. I think its because of how Captivate is programmed. It is not the most efficient, and seems like a tool that has long had band-aided itself together. They need to fix Captivate first. The next version of Lectora will be responsive, using the breaking points approach (as many websites use). The interface will have 3 views to ensure your course looks the way you intend on desktop, tablet and mobile device. Very user-friendly for the non web developer. I’ll put in a pitch for the small Captivate developer who wants to deliver a complete package to clients. However these projects usually don’t generate large numbers of learners, hope there will be some consideration in pricing arrangements. What about developers support & API ? We’ll talk more about feature specifics when it’s available. When is the beta going to be available for review? Plus when is the estimated general release date? I’m not able to share information about the anticipated release date. As an eLearning content provider and systems integrator, is there any way we can volunteer to be a part of a Beta release / testing program? You can drop me a note – allenp (at) adobe (dot) com. No guarantee of acceptance, but I will pass along your interest. Will this support xAPI in addition to SCORm and AICC? We’ll talk more about feature specifics when it becomes available. It doesn’t even really support SCORM or AICC. Is this platform focused on the corporate world, or would it work for higher-ed, with semesters, grades, etc.? great to hear that and thanks for this early dawn notice. I’ve printed out and will start chatting to folk now to have permission to check it out fully later on company research time. This sounds interesting, and my company is in the early stages of sourcing a new LMS. In addition to virtual and eLearning, however, we still manage live, in person training and learning events. Does this manage in person training, and if so is it more than just an afterthought add-on? Yes, it is supported. But that’s all I can share for the moment. Keep your eyes peeled here to learn more soon.